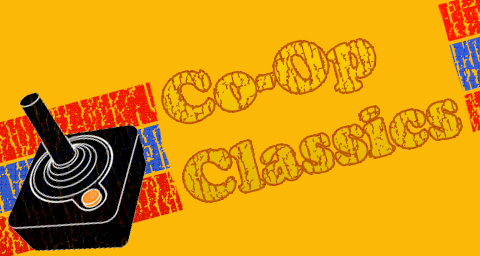 Co-Op Classics turns the calendar back to 1991 this week, when the co-op brawler was king. Double Dragon and the Teenage Mutant Ninja Turtles had paved the way, and dozens of new beat-em-ups were released each year. 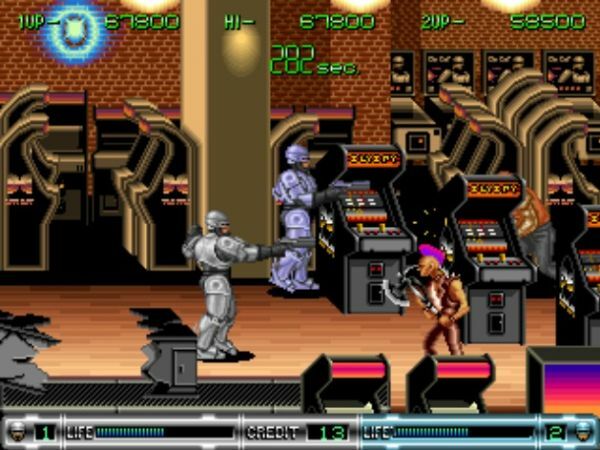 Robocop 2 was a fine example, featuring two-player co-op, over the shoulder shooting, and racing game-like bonus levels. Robocop was a strange choice for an arce game series. The first film was brutally violent, rated R, and had some genuinely disturbing scenes. A video game tie-in, with obvious appeal to children, is a bit perplexing. The first Robocop game was single player only, but still a fair game despite being sanitized for youth consumption. When Robocop 2 came along, though, adding in a Robocop clone for Player 2, fans of co-op had a memorable experience in store. I should say a brief word about Player 2, which we always call "Roboclone". Player 1's model is rendered in silver and gray, just like in the film. Player 2 has a strange purplish hue that makes him look a bit like an armored Easter bunny. On the scale of worst palette swaps for another character, "Roboclone" ranks right up there with the brown-haired, red- and gray-suited clone from the Superman arcade game, otherwise known as "Captain Boring". Robocop 2's gameplay is fairly standard, and loosely follows the plot of the movie. Robocop shoots, body-slams, and punches his way through the streets of Detroit. Various and sundry thugs, some wielding rocket launchers and heavy machine guns, bar his way as Robocop searches for Cain, the big bad guy from the film. The firing controls were a bit different, with dedicated buttons for firing left and right. Robocop and his partner could pick up weapons to replace the standard (yet awesome) pistol, though these new arms had surprisingly low ammo levels. The side scrolling brawling was solid, if not innovative.